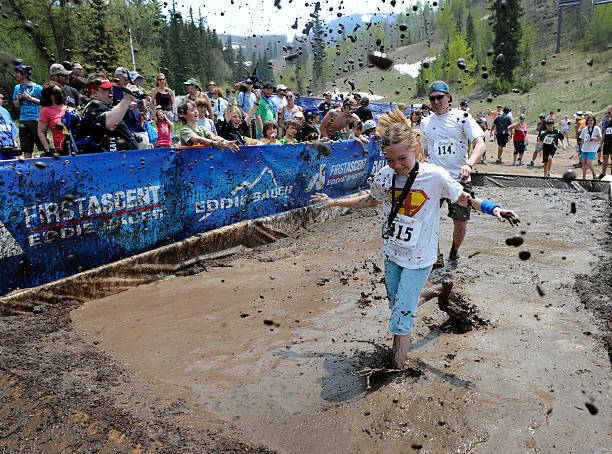 The Vail Recreation District's 5th Annual KEEN Family Mud Run will take place Saturday, Aug. 11 in Vail as part of the 2018 Vail Kids Adventure Games. The KEEN Family Mud Run is open to all ages. The KEEN Family Mud Run will begin at 4:30 p.m. on Aug. 11 at the base of Gondola One in Vail Village. Families and individuals of all ages and ability levels are invited to come test their competitive streak during a one-mile, mud-filled race course. The run is fun for the whole family, and the Vail Fire Department helps out with rinsing off participants. In addition, all racers will receive a fun commemorative race gift from the sponsors.